When Kuremal’s son Mahavir Prasad took over in 1975, he moved the business off the street and into its present shop, tucked in amongst the old havelis of Kucha Pati Ram, off Bazaar Sitaram. Today the family makes over fifty varieties of kulfi, including pomegranate, tamarind, rose, and custard apple. There are even ices made from fruits I’d never even heard of, like phalsa. They’ve also expanded the business, and regularly cater to some of the largest hotels and resorts in Delhi, including the Hyatt, the Radisson, Tivoli Gardens, and so on. For me, a visit to Kuremal is always a highlight of any trip to Old Delhi. I usually manage to get through at least four kulfis — there always seems to be something new to try. I’ve recently discovered the ‘Stuffed Kulfi’ — the orange and mango are particularly delicious. The stuffed mango kulfi is made by taking out the mango stone and most of the flesh and filling it with rabri, or plain kulfi mix. 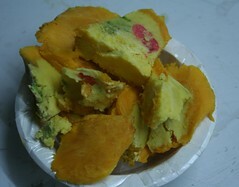 When frozen, the skin is peeled away and the ice sliced to give a fabulous combination of rabri and frozen mango flesh. The orange one has a tantalising, almost-there flavour, achieved when the rabri becomes infused with the orange zest during freezing. When Hemanshu and I visited last week we were given a kulfi masterclass by Mahavir Prasad’s son, Manoj Sharma and even managed to score a couple of their secret family recipes. 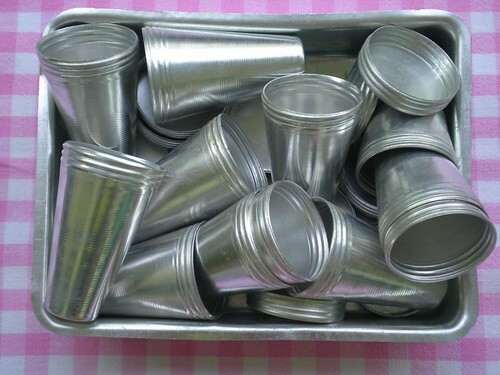 Kuremal still produce their kulfi in exactly the same low-tech fashion as they have always done. Everything is done by hand and the only thing that has changed since 1908 is the arrival of giant chest freezers. Throughout, Manoj emphasised the importance of using the best ingredients. Their creamy milk comes from dairies in Hapur, Uttar Pradesh. They use only the finest, intensely-flavoured Alphonso mangoes. They use a very specific type of pistachio — ‘Peshawri Pista lot number 101’ and their long saffron stems come from Kashmir or Afganistan. Although at 450 rupees a gram, says a certain economics professor, there probably isn’t very much in each 25 rupee kulfi. I never had a head for figures, but I think he’s being picky. Location: 546, Kucha Pati Ram, Bazaar Sitaram. 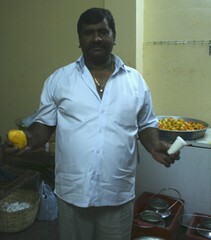 Mahavir Prasad’s elder brother, Mohan Lal has a shop directly opposite Duli Chand in the same lane. That shop is almost always shut, since they focus entirely on their catering business. To reach Mahavir Prasad’s shop, you need to walk a little further into the lane. Map Location. Prices: About Rs. 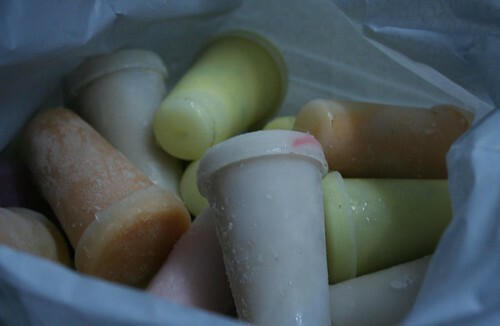 25 per kulfi, but varies according to type and flavour. Timings: Erratic, but generally open between 1pm and 9pm. The main difference between rabri and western ice cream is that kulfi is milk, not custard-based and is frozen without churning, which gives a denser texture. 1. 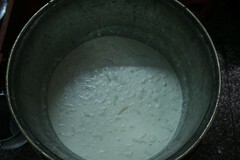 Boil the milk until reduced by about half, about 45 minutes to one hour. Sir frequently to prevent burning. 3. Cool in an ice bath for 3-5 hours. At Kuremal, this is done in giant copper vats. At home, fill a basin with ice, then sit the bowl with the rabri mix on top. 4. When the rabri is cool add the cardamom, kewra jal, pistachios, and saffron. 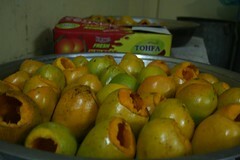 Mix well and when the saffron has turned the rabri mellow yellow, spoon the mixture into kulfi moulds and freeze. 5. At this point, you could hollow out mangoes or oranges and stuff with the rabri. Phalsa is a tiny fruit which looks a bit like a reddish blueberry although its taste is sharper. It’s in season now and tumbling off carts all over Delhi. 1. Crush the phalsa with the sugar to extract the juice. 2. Add the water to the juicy mass. 3. Put a fine muslin cloth over a bowl and tip the phalsa mixture into it and press until all the juice is extracted. 4. Add lemon juice to taste. At this point point, Kuremal add a dash of their secret masala formula. I detect a hint of salt, cumin and cardamom. Thanks for the wonderful post… this was exactly what was required in the midst of Delhi heat after you have gulped loads of kebabs in ShahJahanabad!! Now upon reading your blog, I reminisce the old time I spent over there, but alas…! these bliss are not even heard in thid part of country , namely north east…..